Hailing its name from the previous convict Hugh Kelly, Kellyville is one of the original established suburbs of the Hills District originally encompassing Kellyville Ridge and Beaumont Hills. 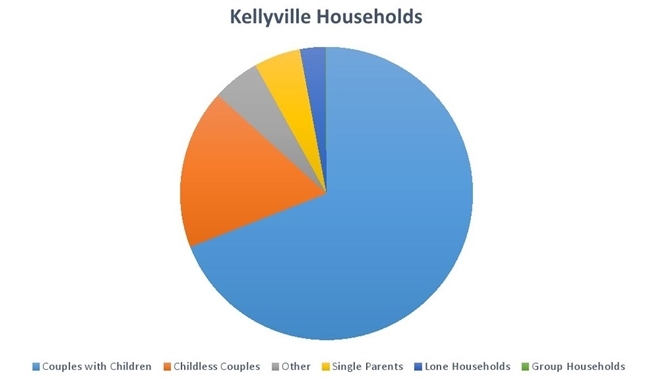 Known for its diversity in housing, Kellyville encompasses many estates and reserves making each pocket unique and picturesque. The Bernie Mullane Sporting Complex – a recreational facility with indoor and outdoor facilities including gym, tennis courts, soccer fields and cricket grounds. Known for being a popular choice among home buyers due to both leafiness and diverse choice of house types, ranging from modest modern housing to large affluent properties. Renowned for being an upmarket neighbourhood surrounded by natural bushland and creek. 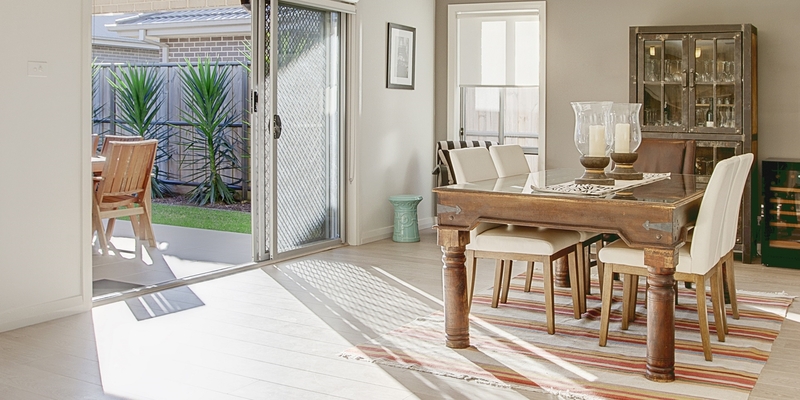 Noted for its easy access to Rouse Hill Town Centre, Stanhope Gardens and North-west T-way. The former Display village now all privately owned residential homes. New Homeworld Display Village - (Homeworld IV - River Oak Circuit, western Kellyville area). One of the largest display villages in the world this neighbourhood of display homes draws crowds regularly particularly since the housing development boom of the North West Sydney Region. The newest Kellyville Estate which is proposed to include a new shopping centre and will be minutes walk to the North West Rail Link. - Kellyville is serviced by Hillsbus and Busaways which provides services to Rouse Hill, Blacktown, Parramatta, Rouse Hill, Castle Hill, Macquarie Park, North Sydney and the Sydney CBD. - The North-West T-way provides transit services to Parramatta railway station and Sydney CBD. - The North West Rail Link is a proposed railway line running from The Ponds to Epping, where it will connect to the existing Epping to Chatswood railway line. 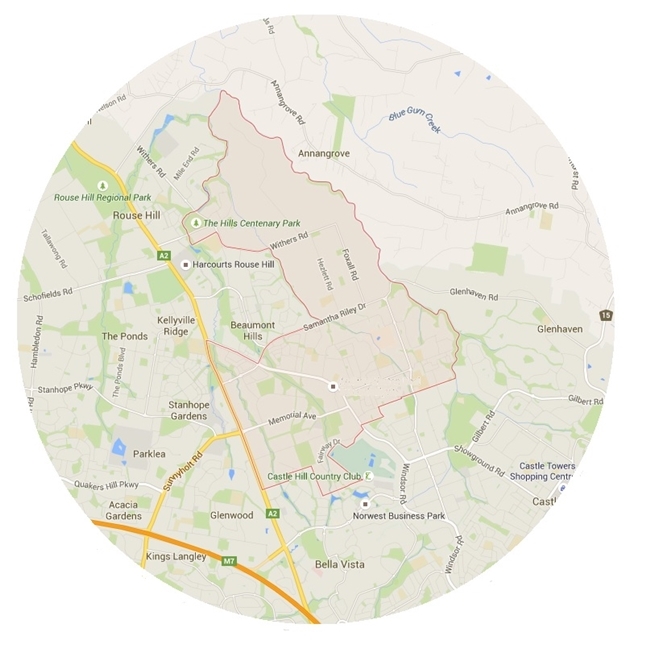 Nearby stations accessible by Kellyville include Rouse Hill, Bella Vista and Showground stations.